“One, two, three, four, five, six, seven, eight! Schlemiel! Schlemazl! Hasenpfeffer Incorporated!” It’s been almost 25 years since the end of the classic ABC sitcom Laverne & Shirley. The partnership of the wacky ladies ended abruptly in 1982 but now it looks like they’re going to be roommates again. Laverne & Shirley debuted on ABC on January 27, 1976. It was a spin-off of the very popular Happy Days sitcom and both were created by Garry Marshall. 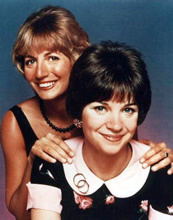 The series followed the crazy exploits of Milwaukee brewery employees Laverne De Fazio and Shirley Feeney played by Penny Marshall (Garry’s sister) and Cindy Williams. The show also starred Michael McKean, David Lander, Eddie Mekka, Phil Foster and Betty Garrett. 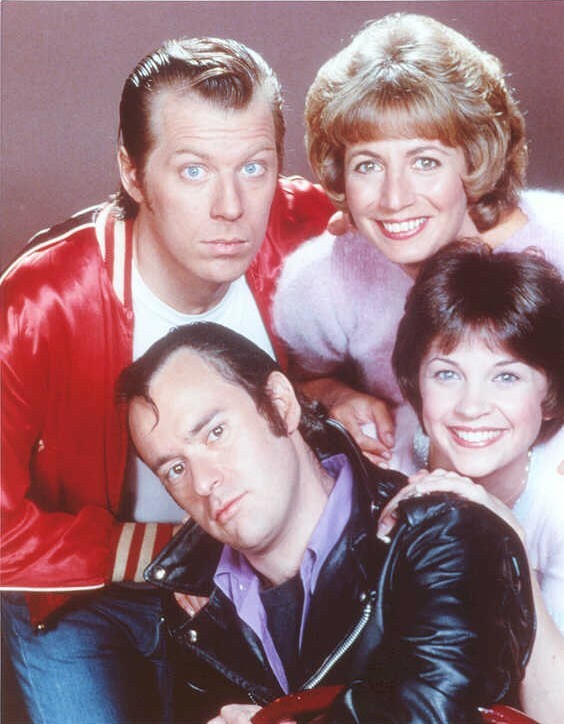 The incredibly popular series ran for seven seasons and even inspired an animated spin-off entitled Laverne and Shirley in the Army (later renamed Laverne and Shirley with the Fonz). In 1982, due to backstage tensions and a real life pregnancy, Williams left the series abruptly. Combined with already declining ratings, the series couldn’t survive the loss of one of its title characters. Capping eight seasons, the final episode aired on May 10, 1983. The backstage quarrels seem to have softened over the years as Marshall and Williams have reunited several times in public over the years. A one-hour reunion special entitled Laverne & Shirley Together Again aired in May of 2002 that reunited the surviving cast. The duo reprised their famous roles briefly in a skit where the girls want to audition for a Survivor-like show. Now, the girls are getting together once again. TV Land’s President Larry Jones says that Marshall and Williams will soon begin filming a loosely-scripted series pilot together. They’ll be living together in Penny Marshall’s home. Described as a buddy comedy, Penny and Cindy will air on TV Land. Gay Rosenthal Prods. is producing the project while Jim Vallely (The Golden Girls, Arrested Development) is the writer and executive producer. If this is successful, can a reunion spin-off called Lenny & Squiggy be far behind? Stay tuned! @Anonymous: Only the first four seasons have been released so far.